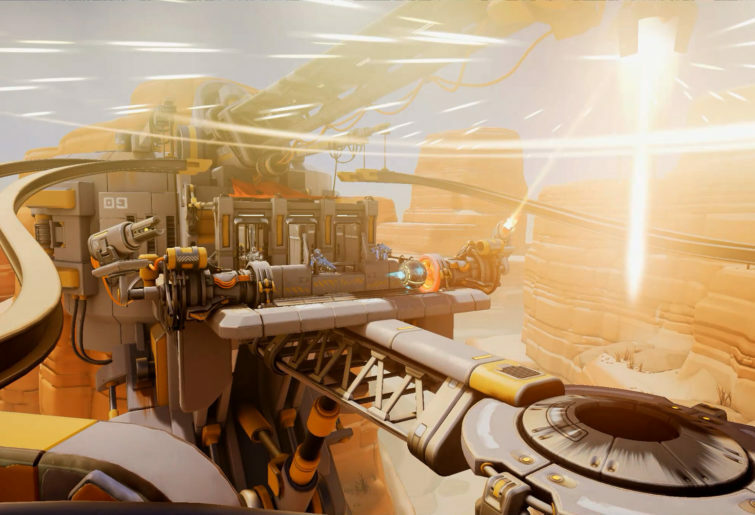 Are VR arenas the future of sports and esports? Last Monday I was able to try out something that might be the answer to the esports non-believers among us. 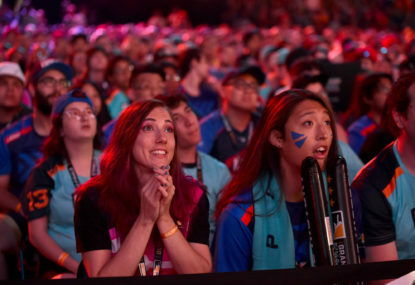 I understand that for many, especially those who aren’t familiar with computer games, esports sound like a bit of a stretch. For a lot of folks, it’s the lack of a physical nature – that’s a hard line to draw when you consider things like shooting and chess are classified as sports, but I get it. 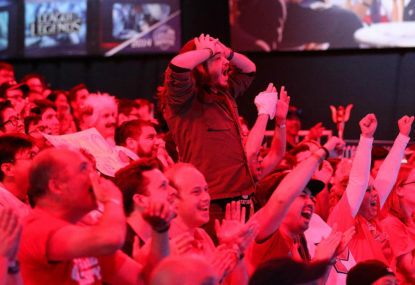 Here’s where esports but in Virtual Reality may close the gap. Zero Latency is a Melbourne based company that has developed what is essentially a VR arena. It’s an empty space but has cameras and tracking set up that when paired with their portable VR kits works to create an interactive virtual environment. 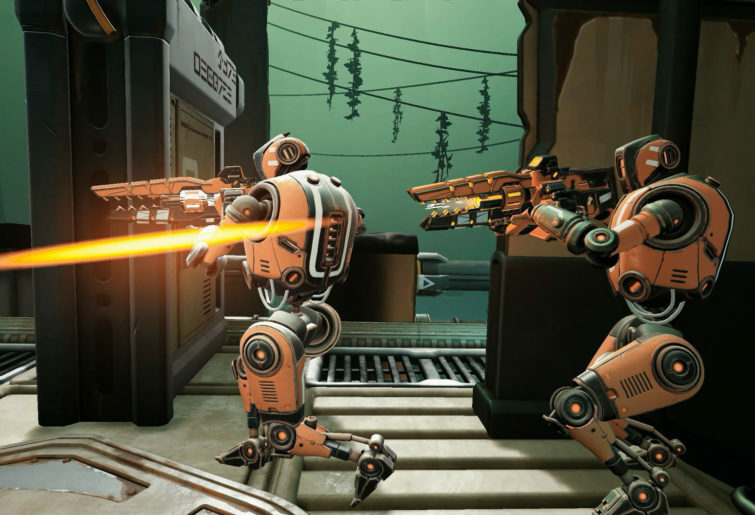 Players don a headset and backpack containing an Alienware laptop and are able to move around relatively freely in the play space. It kind of feels like an early version of the holodecks from Star Trek – a big empty room that becomes something more when you put the headset on. Up until now, the company has used this to give people the opportunity to play together in this space, defending yourself from zombie hordes and the likes. 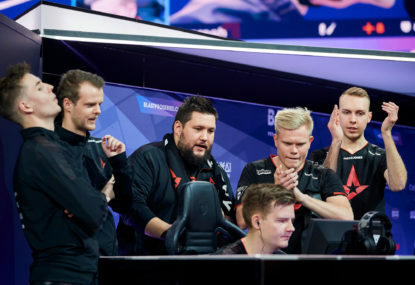 Other than racking up a higher score, this wasn’t really conducive as an esport – but now they’re bringing something else to the table. On Monday I was able to try out Zero Latency’s new game called Sol Raiders. 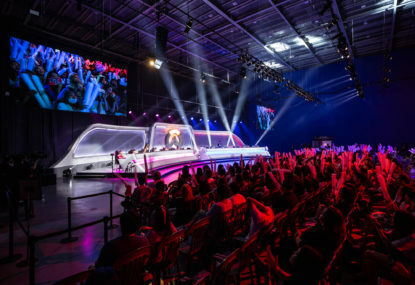 It pits two teams of up to four people against each other in a competitive arena. Players are armed with guns and need to work together to secure objectives while taking out the enemy team. The look and feel of the game kind of reminded me of playing PvP Halo only on a much smaller map, and obviously, in VR. It’s a bit hard to say how viable this is as a newcomer dropped in for some games. When everyone involved is trying to get used to not only VR but also a new game type, it was pretty fumbly. I could get a sense that good communication and coordination could make for some very fast paced and intense play but I didn’t quite get to experience that myself. Talking with CEO and co-founder Tim Ruse he explained that the difference between watching a coordinated group or military personnel play compared to our ragtag bunch of press and influencers was pretty staggering and I could absolutely see that being a possibility. This seems like something that will be tightened inevitably by both players and the people who make the game so whether or not the game is competitive enough for an esport feels like a problem that will inevitably become solved. I’m not really worried about how games play as to whether or not this can be feasible but there are other potential barriers. Ruse also cited the need to get a lot of people playing before it can become popular enough to really take off as an esport. The difficulty here is that it’s not a game you can really load up at home and practice. 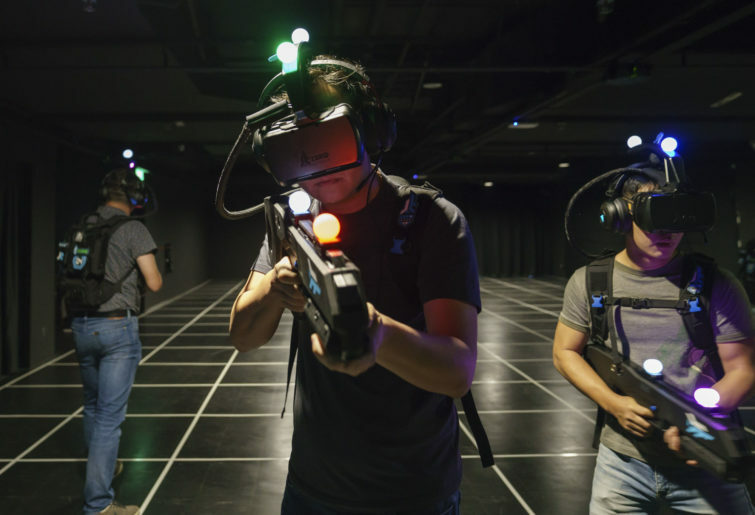 It’s going to take groups of people interested and dedicated enough to head into one Zero Latency’s location not only for competition but for practice. The good news for this is the company currently has 25 arenas located across 13 countries for people to try their hands at the game. Ruse talked about the potential to create bigger arenas if events to take off for a higher level of play too as well as including areas for people to be able to watch live. And I think that’s where Sol Raiders and games like it might really succeed in the esport space. Viewers. Having this mix of digital and physical in the one arena really helps to bridge the gap for sports and esports. You can watch people move and run about in an actual physical space and immediately understand at least some of the skill involved. 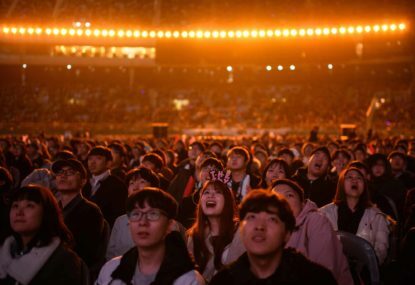 The digital portion is almost more like an overlay on top of physical events, so a deep knowledge of video games, in general, isn’t as required as it can be when watching other esports. It creates a sort of paintball or lazer tag environment but I actually think the digital element in VR will be key in having it succeed. Arenas can be comprised of empty space and no matter where you are you can play on the same field. Adding a new map doesn’t have to be physically built, and changing things across so many locations has to be easier when it’s all in code. And again from a viewing perspective, this allows for so much greater variation. Multiple maps can be housed in a single arena. In the demo, there were three different maps available and two game modes. There were also tricks such as elevators that digitally took you somewhere else while physically you remained in place. This means an empty room is infinitely customisable to accommodate not only new modes and maps but also entirely new games. Of course, as Ruse has said, all of this depends on the success of Zero Latency facilities themselves. 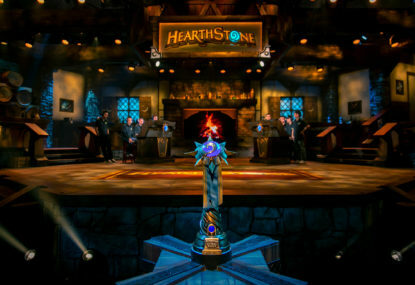 If they can garner the traction and attract regular player bases that come back and maybe even viewers who come to watch this could be the beginning for a very exciting era of this weird esport/sport hybrid. I’m not sure if it’s there yet, but I feel like it could absolutely be there soon. As technology continues to advance and spaces like these become more popular my cyberpunk dreams of digital arenas are all that much closer to reality.